Katerina asked me about Lawyer Logo design and design for her new Business Cards. She was opening her new lawyer office so she wanted to have the designs in the match. Her request was modern logo without any usual lawyer symbols, she just wanted to have it personal as possible in bronze colour. And the business card in my minimalistic yet modern style. I made for Kateřina 6 different logo versions what was 3 more extra than I do usually. I really enjoyed the cooperation with Kateřina because she enjoys my designs. The business card design was done on the first shot. 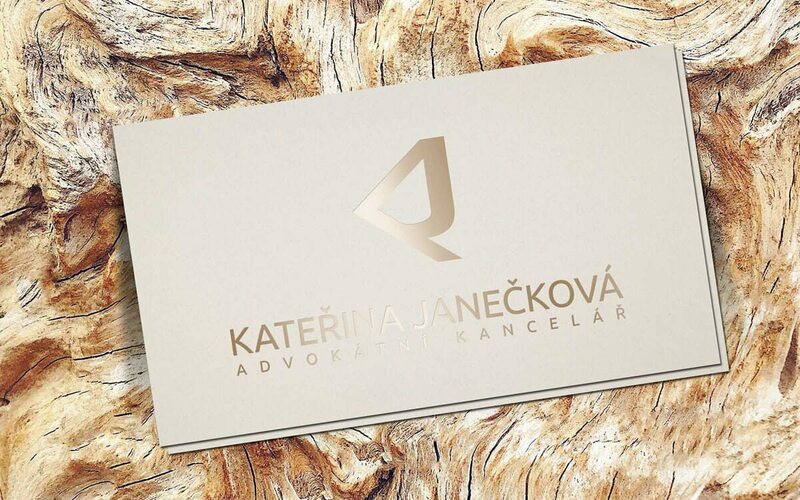 Katerina was impressed by the final design which will be the main part of her Lawyer office branding. I am grateful for the trust Kateřina gave me during my design work and flattered by her compliments about my design. There is definitely space for further cooperation and I am looking forward to it.